This is Part 1 of a five-part series on total load, the cumulative training and life stress an athlete experiences while training. What is total load, anyway? Simply put, “total load” is a way to think about all of the stress that athletes encounter in their lives, both positive and negative. In addition to an athlete’s workout, other factors such as sleep, diet, and mental stress impact a body’s ability to train, recover, and perform. Many athletes don’t realize that factors such as work stress and travel can really impact their ability to train and perform well. Total Load Overview: Why does it matter? What are the key components? Why does total load matter? 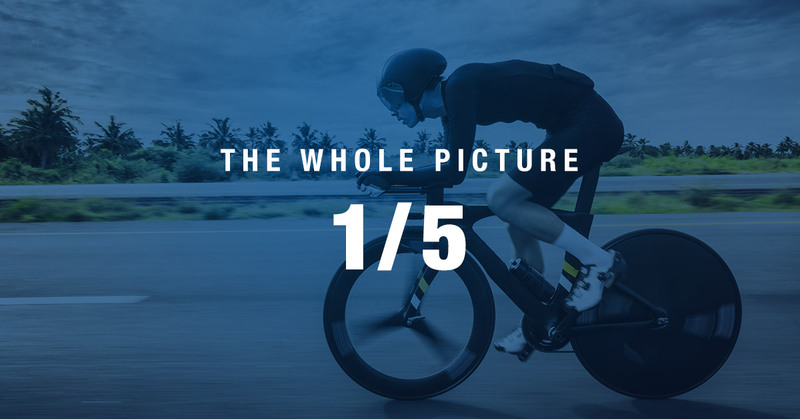 The new ethos of marginal gains pushes amateur and elite competitors to optimize the volume and intensity of their training in pursuit of maximum performance. When combined with psychological and non-sport stresses, maladaptation is increasingly likely. The concept of total load has been around for a long time, but significant progress on the subject has been made in recent years. In early 2016, the International Olympic Committee organized a group of experts to examine a growing body of evidence indicating athletes with poorly managed total loads suffered from higher rates of injury and illness compared to competitors. In this context, “poorly managed” indicates training loads that were both too low and too high, in addition to rapid changes in total load. Only when considering all of these factors can athletes and coaches achieve a comprehensive picture of total load. In addition, monitoring and managing total load over time has been shown to have the biggest impact on improving performance while reducing illness. The infographic below summarizes key findings from research by the Australian Institute of Sport. What is external and internal load? External load describes the physical work performed during training and workouts. External load measures include traditional training metrics such as power, speed, distance, duration, and frequency. Research has demonstrated that some newer external load measures such as Acute:Chronic training load ratio (of which TSB is an example), and GPS-derived metrics (acceleration, high-speed running used in team sports) predict injury more effectively compared to traditional ones. Internal load refers to the body’s stress response to the external load. Examples might include an increase in hormones such as cortisol or physical damage to muscle fibers. The range of internal load measures is less obvious, but includes rating of perceived exertion, Training Stress Score (TSS), psychological scales, hormone measures (salivary cortisol, c-reactive protein), blood lactate, and heart rate measures (resting HR, HR Recovery, and Heart Rate Variability or HRV). The General Adaptation Syndrome model, which suggests that a given level of training load will produce a repeatable adaptation in each athlete, has been used for around 90 years to predict an athlete’s response to training. However, in his 2017 thought-provoking paper, Dr. John Kiely addressed the relationship between total load and the body’s response that suggested otherwise. Kiely argues that the old General Adaptation Syndrome model is far too simplistic, as neither our body’s homeostasis nor our stress response remain constant. In fact, they vary with life experiences, bio-rhythms, and many other factors. This is where holistic measures, such as Heart Rate Variability (HRV), can be useful as they can better reflect the total internal load as perceived by the body, rather than just the amount and intensity of training. For all but the most cosseted professional athletes, training is not the biggest source of stress on the body. Factors such as mental stress, frequent travel, inconsistent diet, and sleep loss represent more significant sources of stress for many athletes with busy lives. In a recent interview with a coach of high school and college-age athletes, we observed that mental stress from work assignments and social pressures frequently led to poor diet and sleep. As a result, those factors further compounded the imbalance between total load and recovery. Spent the morning with a national track athlete and Olympian medalist. More or less 90% of the session was related to life stress. It is often a hidden contributing force in the injury history of athletes. It is important to consider all of the sources of stress when coaching to prevent such an imbalance, but it can be difficult to identify when life begins to fall out of balance. One way we can determine the key stress influences for an individual is to track an all-inclusive stress measure, such as HRV, while recording stress, fatigue, sleep, diet, and other markers on a daily basis. Observing trends in this comprehensive data then allows for refinement and adjustment of lifestyle. Interested in learning more about heart rate variability? Take Simon Wegerif’s online course Introduction to Heart Rate Variability to understand the basics of HRV and how you can use it to measure total load. Remember that it’s not just training that stresses the body, it’s total load that matters! It is always important to consider external and internal loads, not just the training itself, because the body’s specific response is highly individual and even varies over time. The next article in this five-part series will take a closer look at how physical stress and training contribute to total load. Simon Wegerif is a serial entrepreneur, inventor, and biomedical engineer. He was previously an executive with Philips Electronics in the UK and Silicon Valley. Simon is a competitive cyclist and has also completed a number of triathlons including Ironman distance. He created ithlete, the leading, scientifically founded HRV app in 2009 after identifying an opportunity for using HRV in his own training. He is considered an expert on the topic, having read over 1000 papers and frequently consults with industry experts.